H 2 O Massage is a type of holistic massage that offers exceptional benefits for both mind and body. This aromatherapy has shown a positive effect for centuries. The hydro therapy massage is built for tailored bed system that would be suitable for everyone. 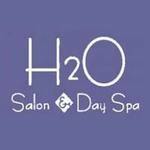 H 2 O Massage adds up as a best compliment for the weekly routine for fitness. The advantages of these massages are that it relaxes tense, increase flexibility for stiff and sore muscles, and also improves circulations. This system of massage provides an opportunity for complete relaxation of body and mind in the hectic daily schedule. There are currently 0 consumer reviews about H 2O Massage available. Share your review. Please take a note that you are about to post a public review about H 2O Massage corporate office on CorporateOffice.com. This review will be public, so please do not post any of your personal information on this website. If you would like to contact the corporate offices of H 2O Massage, please use their contact information such as their phone number, website, and address listed above to contact them. However, sometimes staff from H 2O Massage headquarters do read the reviews on this website.